IIIrd Tyme Out | It’s About Tyme (NEW CD) Available Now!! With the first note of music and the unmistakable tenor voice of IBMA’s most awarded male vocalist, It’s About Tyme kicks off into super-high gear with the Moore-penned, ode to his Texas roots, “I’m Leaving You And Fort Worth Too.” By the time the super-charged song is over, listeners will be firmly in the palm of IIIrd Tyme Out’s very capable, musical hands and will most assuredly be ready for the next 43 minutes of music. In addition to Moore, Wayne Benson brings forth a fan-favorite instrumental that he composed several years ago, “Spindale.” Additional and notable song contributions were made by Kevin McKinnon and Eli Johnston (“Had It Not Been For The Train”), Mark Brinkman and Becky Buller (“Cotton Town”), Milan Miller (“Poison Cove”), David Norris (“Sweet Mountain Rose”), Josh Miller (“Enough For You”), and the hit first single from the project written by Kyle Burnett (“Brown County Red”). 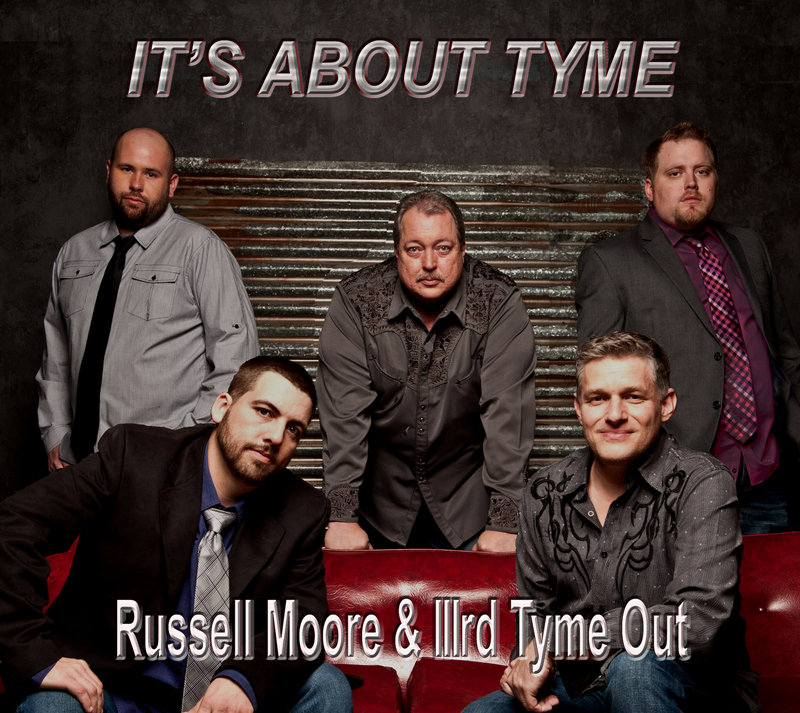 In true classic style, IIIrd Tyme Out mixes old with the new, bringing a fresh approach to long-forgotten gems such as the Nitty Gritty Dirt Band’s “Lowlands,” the Keith Whitley and Fred Koller penned “I Think I Want My Rib Back,” Mickey Newbury’s “Makes Me Wonder If I Ever Said Goodbye,” A.P. Carter’s “Are You Tired of Me My Darling,” and a true highlight track, “River Bottom,” originally recorded in bluegrass by The Country Gentlemen. And just when you think the IBMA’s seven-time vocal group of the year can’t possibly offer anymore, they surprise the listener with an a cappella version of Sam Cooke’s Mo-Town classic, “You Send Me,” a performance that is sure to make fans swoon.